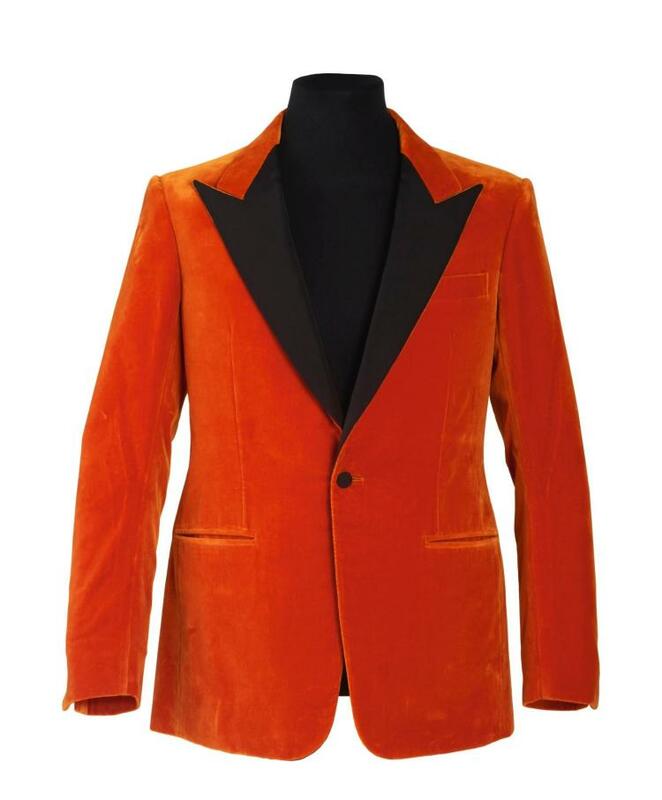 Description: For the film 'Kingsman: The Golden Circle', director Matthew Vaughn created with Huntsman's Head Cutter Campbell Carey the now famous Tangerine Velvet Smoking Jacket worn by lead actor Taron Egerton in the movie. For this lot, Huntsman will re-create the prototype jacket bespoke to the winner’s measures. Fittings and Cuts will be supervised by Mr Carey, who also appeared in a cameo role in the first instalment of the Kingsman franchise. The fittings will take place in the Kingsman Fitting Room at Huntsman on Savile Row in London, the room where Matthew Vaughn, a Huntsman bespoke client since the age of 18, created the Kingsman story during a fitting. 11 Savile Row served as a location for many scenes in both Kingsman films.